We’ve been duped, duped for years. While the common Jane Soap thought for sure that mid-length skirts are to be avoided: they make small people look dumpy and tall people look like they are wearing a long skirt that’s too short for them, actually midi-skirts are the most flattering skirt length. Believe it, the style gods have spoken. The SGs (Anna Wintour, Victoria Beckham, everyone who reads Vogue) have reclaimed the midi-skirt from the depths of your granny’s wardrobe and claimed victory for the modest gal who doesn’t quite want to go down Amish levels of covering up – and the more…free gal who has decided that if she wants to show her top, the bottom should be more demure. But not too demure; she’s not, you know, Amish. But, you probably know this already, don’t you? And you probably have at least two midis in your possestion. But you probably haven’t worn one more than once. Yes, it’s the skirt length that suits us all, but only when styled properly. 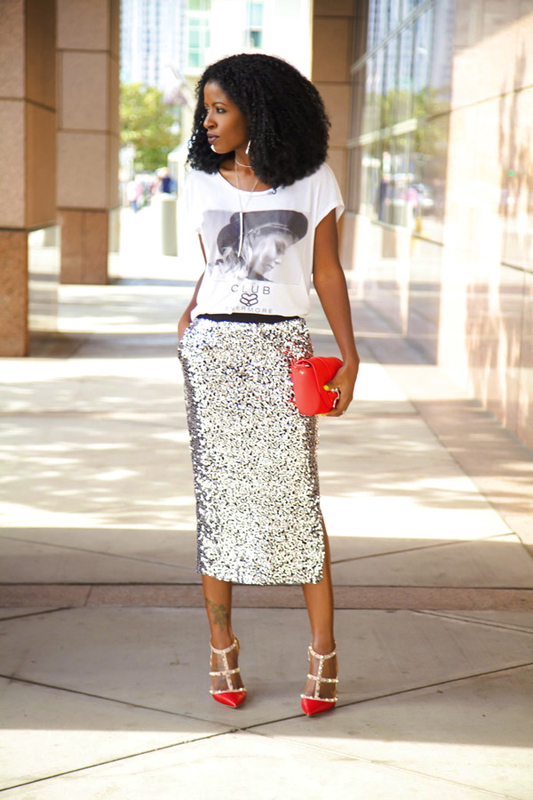 You’re in luck; you can wear any a mid-length skirt, pencil or flared, with any type of top. The only time it will look like you are wearing a too-short maxi skirt would be if it’s just at the ankle and you’re wearing heels. Luckily for you, you don’t even have to wear heels. 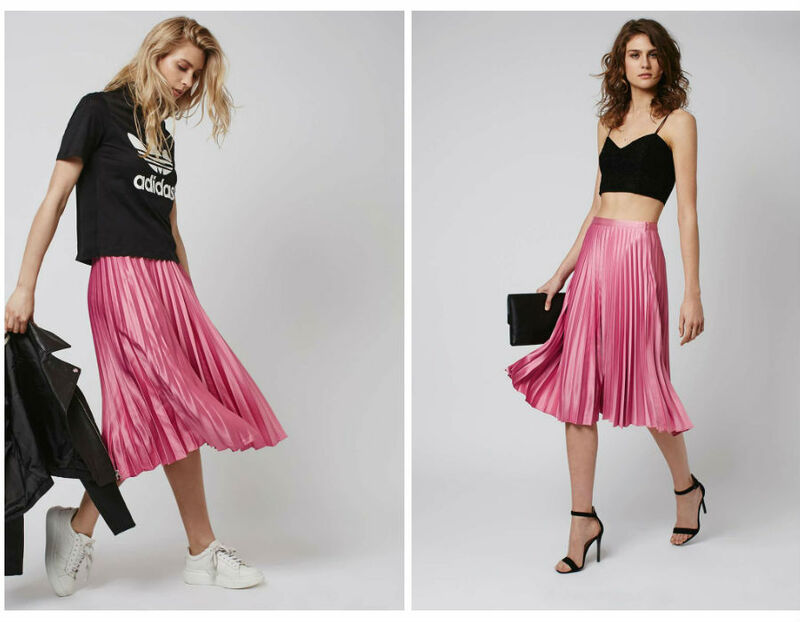 Pleated midis, like the one below from Topshop, are the most popular right now, and don’t be afraid to pair it with a t-shirt or a bralet. Exactly, dress it up or down. 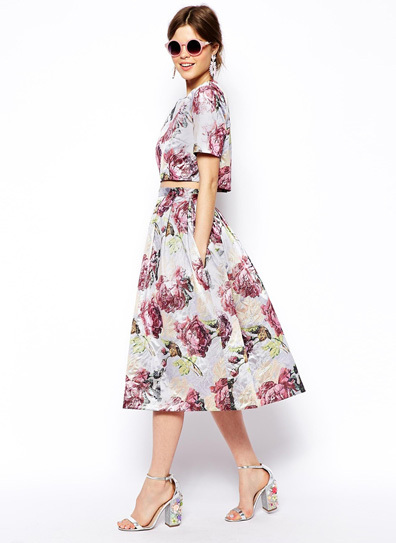 Of course you can wear it with flats, but the midi skirt just works better if you’re in heels. Flats will make your legs look really short; heels with a midi actually lengthens them. It is true; anyone of any height or size can wear a midi, and there are more ways to wear the flared midi than with a t-shirt top which is the go-to style du jour. Maybe make it a crop. Or pair it with a shirt. Get yourself a fancy pencil, throw on a casual tee and wear it to any occasion. This year bodysuits made a comeback. You – and J-Lo, know what to do. I read that actually sometimes the higher the waistline, the longer the skirt, the lower the heel applies as well, because that lengthens the leg more and being partially hidden it needs less definition than when it’s more exposed, dunno :).